Are you tired boys? One Direction's Harry Styles and Niall Horan take a two-tiered nap. 51. Are you tired boys? 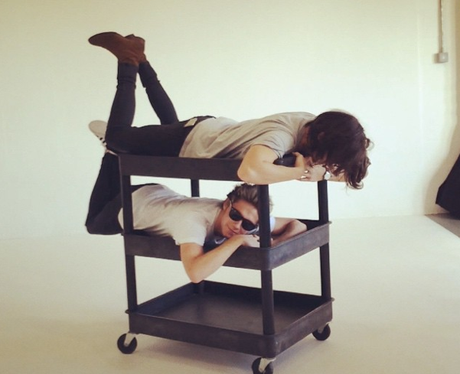 One Direction's Harry Styles and Niall Horan take a two-tiered nap.